Independent dance artist, Jo Clancy received funding through the Artist Support category to undertake a secondment with youth dance company YDance in Scotland. We sit down with Jo following her return to Australia to find out about her experiences abroad. 1. You recently participated in a secondment in Scotland with the youth dance company YDance, what did you most enjoy about your time with the company? I’ve just spent three weeks delivering a contemporary Aboriginal dance workshop program for children and young people in Scotland which was assisted by a relationship developed with YDance Scotland in 2014 during the Commonwealth Youth Dance Festival in Glasgow. I was inspired by the YDance vision, which is to offer every child and young person in Scotland the opportunity to realise their potential as individuals through dance. This is what I strive to do with all of the young dancers I connect with through my work in Australia. I engaged with three YDance projects during my stay in Scotland; I delivered a series of workshops to primary school children as part of a program called Look Up, Look Under, Look Out which involved eight primary schools in the region of Renfrewshire to produce a dance piece based around the area’s architecture or history. I assisted with a children’s dance workshop on the honey bees waggle dance at the National Museum of Rural Life and I was fortunate to watch a rehearsal with Australian choreographer Marc Brew, who was creating a piece on the National Youth Dance Company Scotland to be performed with the Edinburgh Quartet in June. 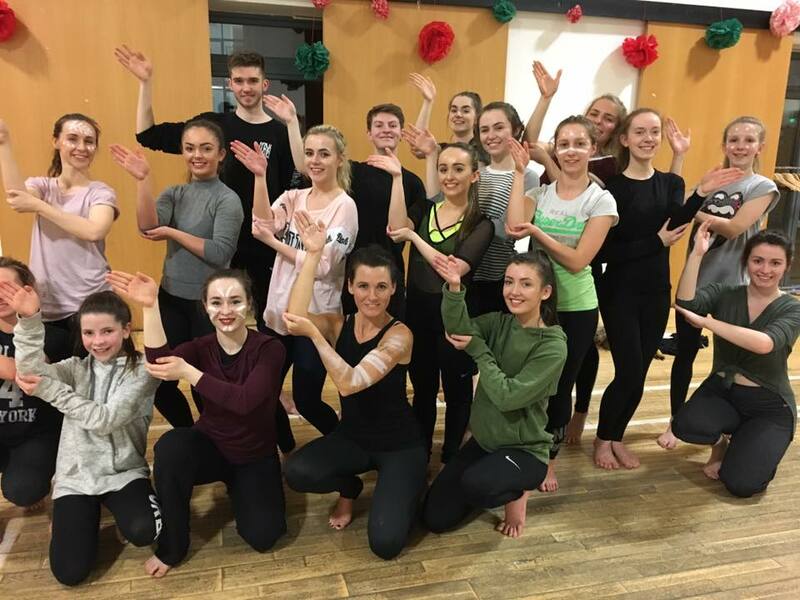 The highlight of my time in Scotland however was connecting with young dancers and dance teachers from the Scottish Dance Theatre in Dundee, Learn2Dance Glasgow and Skydance who are based in the magnificent country on the Isle of Skye. I travelled to each of their studios and shared workshops and choreography which we will continue to develop over the next 12 months with the aim of some of us coming together in 2018 at Dance and the Child International in Adelaide. It’s the start of a wonderful movement and dance exchange process. 2. You received funding through the Artist Support category to undertake this professional development opportunity, how did approach the application process? I had a very clear idea of what I hoped to experience and achieve in Scotland and I had been dreaming about the idea for three years. I approached the application process with research, knowledge and clarity of process and I had established connections and relationships in Scotland that I developed before I wrote the application. 3. What insights did you gain from the experience? Within 24hrs of landing back in Sydney I was on another plane to Melbourne with eight of my young Wagana and DUST Dancers for the Australian Youth Dance Festival. Despite jetlag and exhaustion, the weekend proved to be a powerful realisation about the importance and relevance that my work, Wagana and contemporary Indigenous youth dance practice has in the Australian and international youth dance community. It was also an affirmation of how vibrant, and wonderful Australian Youth Dance practice is. 4. How has this experience impacted your practice? I have spent over 25 years developing my artistic practice and enabling opportunities for many young and emerging dance artists as well as visual and performing artists and young people in my community. I wanted fuel for my creative engine and to go it alone on this professional development. This experience enabled me to gain deeper insight into where I fit globally as a dance artist. 5. What advice would you give to other artists thinking about applying for Artist Support funding? Take time to dream, consider and develop your idea. Apply knowing that even if you aren’t successful in your application the process of writing the application will further your vision. 6. You’re the Creative Director of the Blue Mountains based Wagana Aboriginal Dancers, are you working on any current projects with them at the moment? Wagana is always dancing. In March this year we were the Australian representatives at the Honolulu Festival in Hawaii and in July four of us will travel to the World Indigenous People’s Conference in Canada to present on the work we do engaging and connecting young women and girls to culture through dance. We also have lots of community projects happening which we love! Follow us on Facebook! To find out more about the Artist Support (Quick Response) funding category, please click here. Jo Clancy is an independent dance artist and the creative director of the Blue Mountains based Wagana Aboriginal Dancers. Jo is a descendant of the Wiradjuri people of Western NSW and holds a Bachelor of Arts (Dance) degree from the University of Western Sydney. She has worked as an independent dance artist, performing and teaching, in Western Sydney and the Blue Mountains for the last twenty years. Jo is also the Dance Development Officer at AusDance NSW. Dance is for everyone – let’s get moving!